Rohit Khanna is Manager for Global Energy Programs at the World Bank, which include the Energy Sector Management Assistance Program (ESMAP) and the Bank’s energy climate finance operations. 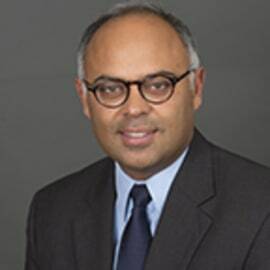 Mr. Khanna, an Indian national, joined the World Bank in 2000. Prior to assuming his current position, Mr. Khanna worked on the Global Environment Facility (GEF) and Clean Technology Fund (CTF) at the World Bank. He has worked in Cambodia, Ghana, and South Africa, and was part of the team that developed the CTF investment program for Concentrating Solar Power in the Middle East and North Africa. Before joining the Bank, he was a Programme Officer in the United Nations Environment Program and worked for Save the Children Federation in its Bhutan Field Office. Mr. Khanna is a graduate of the University of Delhi and has a Master of Public Administration degree from American University in Washington, DC.